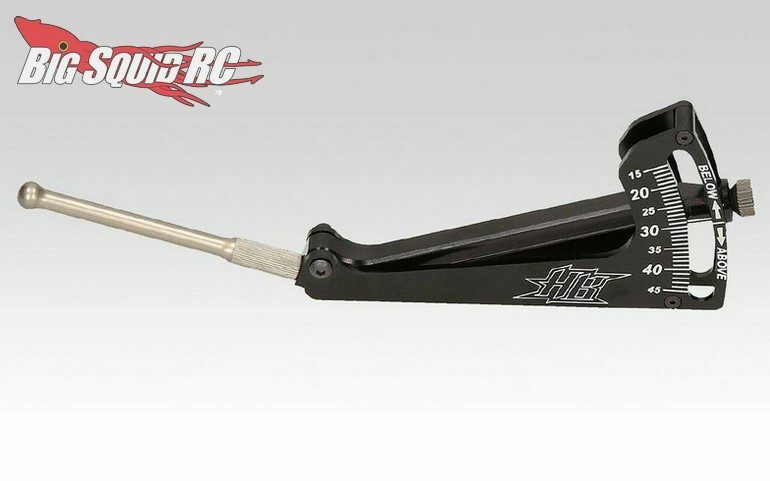 HB Racing Ride Height Gauge « Big Squid RC – RC Car and Truck News, Reviews, Videos, and More! Recently posted by HB Racing is a new Ride Height Gauge. The HB gauge is made for the racing crowd to make it easy to get an accurate ride height reading. The gauge can be used on 1/10th or 1/8th sized vehicles and shows height from 15 up to 45 millimeters. Dual bearings are used for smooth action and the unit was made from CNC machined aluminum. Full details and pricing should be released soon, until then you can hit This Link to check out the official HB Racing website. You can read more HB News right here on BigSquidRC.